Learn More on my teaching website! Now enrolling students of all experience levels & voice types in the southwest Portland/Tigard/Tualatin/Lake Oswego region. Lessons are held in Lisa's beautiful home studio in the Arnold Creek neighborhood. Contact Lisa for more information. My studio welcomes and affirms LGBTQIA students. Lessons are held in Lisa's beautiful home studio in the Arnold Creek neighborhood of southwest Portland. Dr. Lisa Neher has over ten years of experience as music educator, teaching studio voice, vocal seminar, singer's diction, music composition, music theory, and musicianship. She is Adjunct Professor of Music History at Lewis & Clark College in Portland, Oregon and previously served on the faculty of Coe College and Kirkwood Community College in Cedar Rapids, Iowa and Grinnell College in Grinnell Iowa, and taught as a Graduate Teaching Assistant at the University of Iowa and the University of Kansas. In addition, Lisa has extensive experience teaching students of all ages in the private studio setting. Her high school students have won places in Iowa's All-State Choir and high school and community musical theatre productions, and have received high scores on state Solo & Ensemble Contests. Several studio recitals are held each year, giving students the opportunity to put what they have learned in lessons on stage. Her students have gone on to pursue degrees in voice performance, music education, and music therapy at colleges such as Columbia College Chicago, Wartburg College, Simpson College, the University of Northern Iowa, and the University of Iowa. Lisa regularly adjudicates vocal competitions including NATS and Solo & Ensemble Contest. She enjoys working with students from a variety of musical backgrounds. 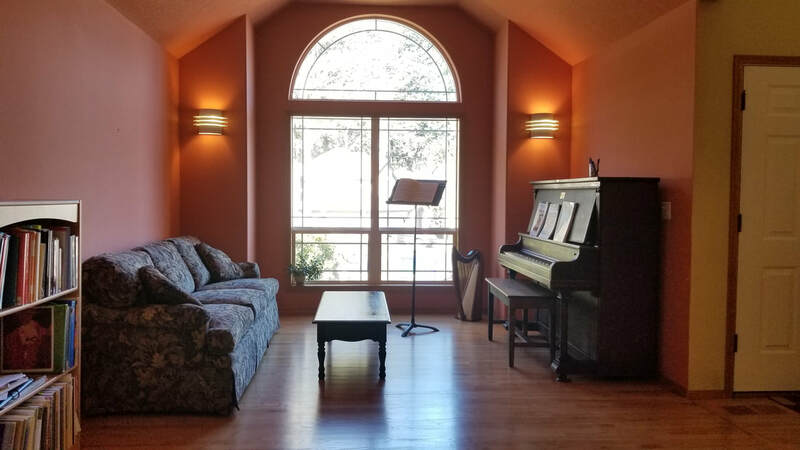 Lisa loves singing classical and musical theatre repertoire and is particularly passionate about performing the music of living composers and music written by women, people of color, and LGBTQIA composers. She performs with Resonance Choral Ensemble of Portland, Friends of Rain New Music Ensemble, and was recently featured at St. James Lutheran Church's Bach Cantata Vespers where she performed as Alto Soloist for J.S. Bach's cantata, Mit Fried’ und Freud’ ich fahr’ dahin (With Peace and Joy I Depart). She holds a Doctor of Musical Arts in Voice Performance and Pedagogy from the University of Iowa, a Master of Music Composition from the University of Kansas, and Bachelor of Arts degrees in Music and Theatre from Lewis & Clark College. My goals as a teacher are: to inspire lifelong enjoyment of singing, to support each student’s individual goals, and to empower students by cultivating conscious control of their voices and the singing process. I strive to create an atmosphere of positive energy and play, tempered with honesty. I believe the voice comes to life most effectively when we tap into our creative, expressive selves, and to this end, I will help students develop their imaginative and story-telling skills. I take my students’ vocal health seriously and will help them care for their voices through proper warm-up techniques and repertoire selection and by suggesting healthy lifestyle habits when appropriate.